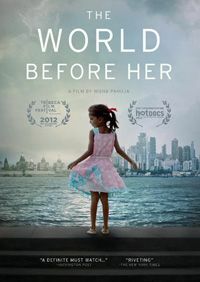 The World Before Her is a tale of two Indias. In one, Ruhi Singh is a small-town girl competing in Bombay to win the Miss India pageant — a ticket to stardom in a country wild about beauty contests. In the other India, Prachi Trivedi is the young, militant leader of a fundamentalist Hindu camp for girls, where she preaches violent resistance to Western culture, Christianity, and Islam. Moving between these divergent realities, the film creates a lively, provocative portrait of the world’s largest democracy at a critical transitional moment — and of two women who hope to shape its future.